With scientific precision and an irreverence that is distinctly Wynkoop, Denver’s oldest brewpub is on a mission to elevate Colorado’s craft beer offerings, one exploratory brew sesh at a time. Call it honorable, or just plain onerous, it’s happening. If you ask Head Brewer John Sims and his team, they’ll tell you Wynkoop’s secret sauce lies in the longstanding tradition of craft beer pioneering and pushing the envelope (you’ve heard of our Rocky Mountain Oyster Stout, right?). There’s no denying it – we’ve got a soft spot for the rebellious. And John’s take on ‘craft beer unrest meets nerdy brew science’ has yielded some exceptional batches of very tasty beer. 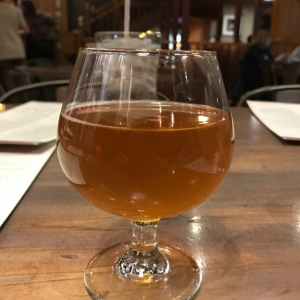 A mashup of adventure seekers and mad brew experimenters, the Wynkoop brewing team geeks out over creating one-of-a-kind craft beer batches – and staking their claim to uncharted beer territory is most definitely their “thing”. 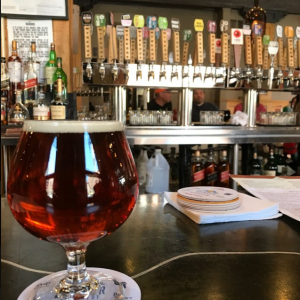 Fueled by the need to keep pushing boundaries, the downtown Denver brewery spends the majority of its beer-making days creating distinctly unconventional ales and lagers for the craft beer obsessed residents of the Mile High City. 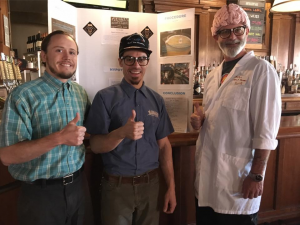 This craft beer irreverence took center stage at Wynkoop’s “Day of Dorks”, a beer-geek brew fest held March 4th, 2017, which featured advanced brewing techniques and highlights of John’s experimenting with unorthodox ingredients, along with 27 other local Denver breweries. Wynkoop’s experimental lineup included five brews – each distinctly unique and yes, admittedly, a little nerdy: Charred Honey Imperial Malt, Warning Label Extreme IPA, Hoppy Kolsch (Jay’s first batch!). For “Charred Honey” (10 ABV), a barrel-aged imperial malt liquor, we skipped the brown bag and went straight for the barrel. Housed in first-use, Triticum Wheat whiskey barrels from our Platt Park neighbors, Laws Whiskey House, this honey colored brew rested comfortably for five barrel-aged months. Sweetly named for the smoked honey profile imparted by the use of Laws barrels, the El Dorado hops and flaked corn malt liquor is an easy-sippin’ imperial. 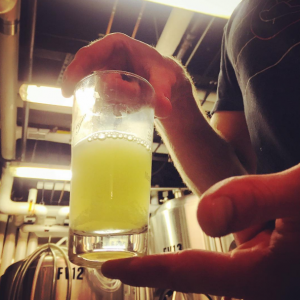 Another eccentric brew poured at the “Day of Dorks” beer fest was our “Oishii” beer, a Sake Lager hybrid, aged on Klamath Lake Blue Green Algae. Back in his Texas days, John Sims used to homebrew his own sake and so this craft beer creation was just a matter of time. Described as “unique and weird”, “delicious and super clean with a citrus kick”, Oishii’s English translation is tasty and that it is. “Warning Label” (15 ABV) is another example of the techno-savvy brew skills coming out of the Wynkoop these days. Also served at Day of Dorks, this “quadruple” IPA comes from a technically challenging brew day. Not to get too deep into the brewers process, but John and team had to get creative to reach the impressive 15 ABV through multiple rounds of fermentation and by splitting the batch (by two days) to create the high sugar content needed. Add to that it’s laundry list of hops including Polaris, Citra, Idaho Experimental #7, Amarillo and Mandarina Bavaria and you’ve got yourself a party. The end result pours up a smooth, “boozy AF” quad IPA that packs a delightful punch. Were it not for the relentless exploration of unusual ingredients and cunning brew technique, you might suspect a struggle for Denver’s oldest craft brewpub to keep up with the city’s 57 and counting craft beer whippersnappers that have popped up in recent years. Not the case though, not on John’s watch. Energized by the meticulous and motivated by the unconventional, Wynkoop Brewing Co has once again hit it’s go-to stride. 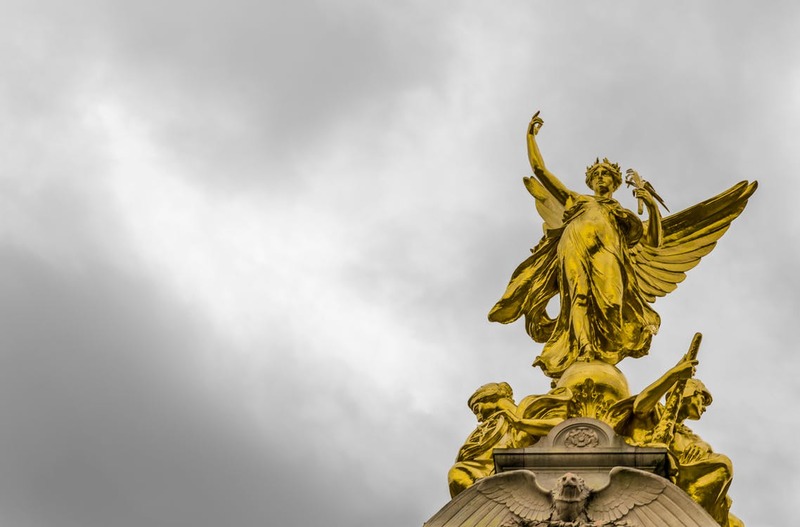 Tastemakers and rulebreakers – rest easy, the golden age of craft beer has arrived.